The town of Jaco Beach is the closest readily accessible beach to San Jose and has the reputation of being the “fun and sun” spot on the Pacific coast. Jaco Beach is considered the liveliest and most developed beach town on the Pacific coast of Costa Rica. Find the best Real Estate Listings here. The number on attraction is the surf and surfers love the consistent beach break here and in neighboring Playa Hermosa. The active village is full of life at all hours of the day and night. Century 21 Jaco Beach a Costa Rica Real Estate Company is located in the town of Jaco of this beautiful country. We are a group of professionals in Real Estate to provide you with clear insight into the meaning of investment and purchasing real estate in Costa Rica. CENTURY 21 Jaco is a proven resource for Real Estate in Costa Rica. Our agents expertise covers a wide real estate options in ideal locations for living, retiring or investing in Costa Rica Real Estate. The real estate inventory features a special assortment of: Costa Rica beach properties, upscale residential homes for sale, condos, investment real estate, farms, mountain properties and vacation rentals. We understand that relocating or purchasing a vacation property is not an easy job. Moving to Costa Rica and doing business abroad requires a lot of research and reliance upon the company you may be using. Above all we provide you with trustworthy Costa Rica real estate assistance on every step of this process. 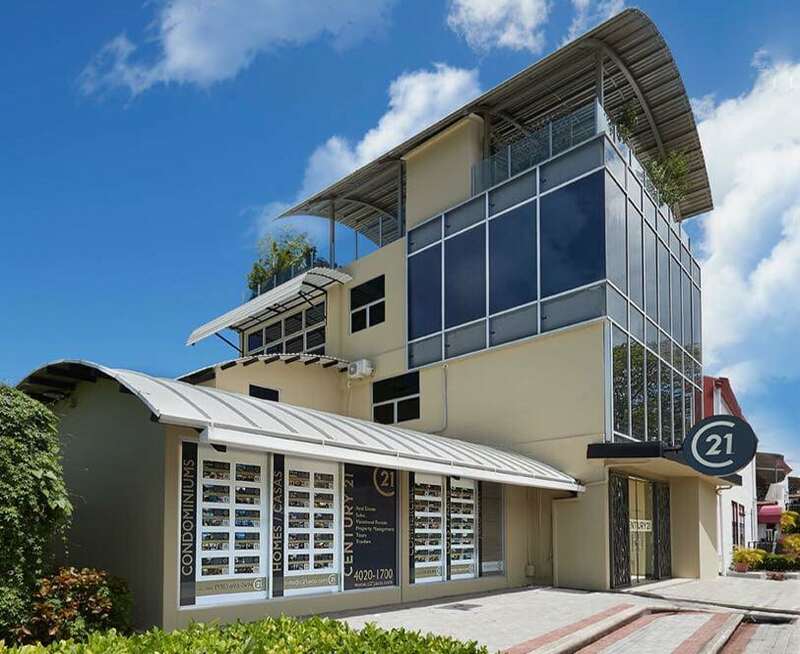 Century 21 Jaco Beach’s main goal lies in leading you to a successful Real Estate transaction. Similarly we can help you get the Costa Rica real estate property or investment of your dreams. Our real estate listings in Jaco Beach combine desirable locations such as Jaco, Hermosa Beach, Punta Leona, Faro Escondido, Esterillos, among others. Costa Rica is a world known destination for vacation, investment and retirement. Costa Rica beauty goes beyond paradisiacal beaches, magnificent mountains and great weather year around. its major beauty lies in its people. In addition, Costa Ricans are worldwide recognized for being authentically friendly and helpful people. It seems like Costa Rican ancient democracry and peace is deeply interiorized in its culture and the idiosyncrasy of its people. Adding all this elements into an equation, the natural result is expected: Costa Rica is the hottest destination in the Americas… and therefore, Costa Rica real estate in is booming! Century 21 Jaco Beach team will do every effort to provide you with the best service. Our main goal is to serve our customers with high respect and professionalism. Our expertise can guide you in a lot of different issues related to your real estate purchase. Our valuable experience and contacts will make you feel comfortable since your first communication. We will listen carefully to your needs and work hard in helping you achieve your real estate goals. No matters you are looking to relocate to Costa Rica and find a piece of Real Estate in this beautiful country, or if you are just looking for a high yield investment, Century 21 Jaco Beach is the secure gateway to Costa Rica Real Estate. Century 21 Jaco Beach Realty really cares about the relationship with our customers. We are a leading and successful Costa Rican Real Estate Company thanks to you, our most appreciated clients, so we will always protect your interests above all. Thanks for your trust, loyalty and for being our best reference! CONTACT US to list or buy your dream home today!